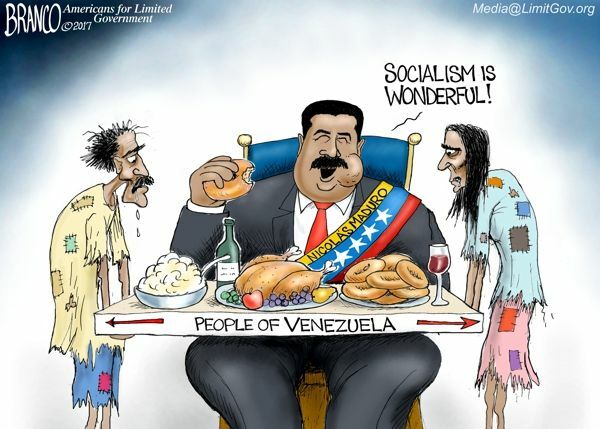 (by Kejal Vyas and Ryan Dube, The Wall Street Journal) – …Venezuelan President Nicolás Maduro’s cash-strapped Socialist regime prohibits most international humanitarian donations—including contributions of lifesaving medicines—except from a few remaining allies such as Russia. 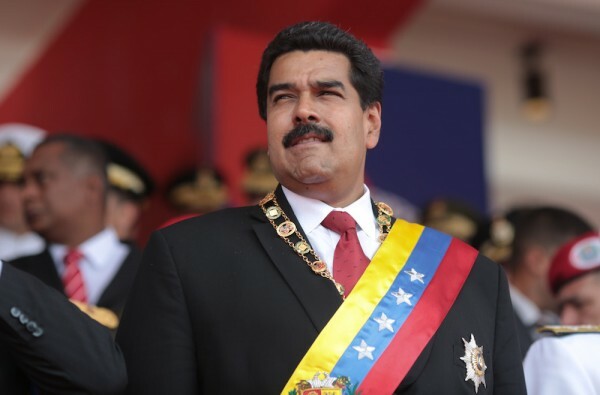 The authoritarian leader and his lieutenants have denied the country is in a humanitarian crisis and they consider international aid part of a ploy by the U.S. and political rivals to besmirch the government and open the door to foreign intervention. “No way are we going to allow this right-wing to impose a supposed humanitarian aid when our people are already being tended to by President Maduro,” Venezuela’s Health Minister Luis Lopez said in December. Public health has deteriorated sharply in what used to be one of Latin America’s richest nations. Venezuela’s infant mortality rate was higher than in Syria in 2016, according to Health Ministry figures. Cases of diphtheria and malaria, diseases controlled by most Latin American nations, have increased amid a lack of vaccinations, the ministry said. In March, the U.S. Treasury sanctioned Carlos Rotondaro, former head of the government’s Social Security Institute, which is responsible for providing drugs for chronic illnesses. The U.S. said mishandling of health care by him and others has contributed to outbreaks of once-controlled diseases like diphtheria and measles. Mr. Rotondaro couldn’t be reached for comment. Patients with transplants are particularly vulnerable because of the risk that their bodies will reject the new organs, an outcome immune system-suppressing drugs can help prevent. There are about 3,500 transplant patients—most of them kidney recipients—in Venezuela, according to health-advocacy groups. The government’s transplant program was suspended in mid-2017 because of financial troubles, leaving 5,000 patients who await new kidneys in limbo, advocacy groups say. Without anti-rejection drugs, an organ can deteriorate in as little as 48 hours. A patient rejects a transplanted organ every two days in Venezuela, according to the Caracas-based health-sector watchdog Codevida. The malnutrition now common in Venezuela means patients also face higher risks for organ rejection, said Dr. Luis Hernández, a nephrologist at University Hospital in Caracas. “We have to help the people,” said Dr. Hernández, who said he has called on the government to accept international aid. In January, the Pan American Health Organization (PAHO) said it helped Venezuela purchase 135,000 pills of the immunosuppressive drug tacrolimus at a discount. But that covers just one of several medications that doctors prescribe to transplant patients, activists say. Last year, PAHO signed an agreement with Venezuela’s Social Security Institute that allows it to purchase immunosuppressive drugs at a discount. About 500,000 pills of another immunosuppressive drug called mycophenolate are expected to be delivered in April, PAHO’s Dr. Moya said. In addition, PAHO has used its own funds to purchase drugs for Venezuela, Dr. Moya said, while acknowledging the supply is insufficient for Venezuelan transplant patients. “They are quantities that guarantee a few weeks, months of treatment, so we have to continue working to get the medicine,” he said. Dr. Moya said his office has been in contact with foreign nations that have expressed interest in providing support through PAHO to supply more immunosuppressive drugs. Individual donors also want to help, including people associated with a federation that stages athletic contests around the world for transplant recipients. Rodolfo Wetzel, former president of a group of transplant athletes in Argentina, said he has about 50 boxes of immunosuppressive drugs ready for delivery. In Bulgaria, Stoyanka Ananieva, a former federation council member whose daughter received a kidney transplant, said she is collecting medicines she wants to send to Venezuela. But they say they haven’t shipped the drugs out of fear the materials could be seized at Venezuela’s ports. Small packages that enter with individual travelers aren’t enough to satisfy demand, activists say. “It’s a situation of helplessness,” said Mr. Wetzel. Patients nationwide are improvising, taking long-expired medicines or waiting for unused pills to be passed down as people die. Because of shortages of steroids, which transplant patients also often take, some are turning to steroids veterinarians prescribe for household pets. …..
Mayela Armas in Caracas contributed to this article. Published at WSJ on April 6. Reprinted here for educational purposes only. May not be reproduced on other websites without permission from The Wall Street Journal. b) Venezuela’s socialist authoritarian regime has no money to pay for citizens’ government-run medical system. But what is the real reason Venezuelans are dying? CALABOZO, Venezuela—In Spanish, the name of this town in Venezuela’s scorching central plains means dungeon. For Marta Solorzano, the recipient of a transplanted kidney, being here turned into a death sentence.With Venezuela’s state-run health-care system in ruins and the country’s economy collapsing, the government last year stopped supplying the pills Ms. Solorzano needed to keep her organ functioning, her family and her doctor said. Without the medicine, the 50-year-old former janitor suffered chronic fatigue and debilitating pain for months as her body rejected the kidney, said her husband, Enzo Array. She died on March 4. The state agency responsible for providing the drugs didn’t respond to a request for comment. For months, 56-year-old Moravia Vicuña has been taking just one of the three immunosuppressive drugs she has been prescribed. Recently, she was down to fewer than 10 pills. She said she and her older sister, Carmen, pawned their bed and television to pay for her last pack of pills, which she is taking only one of the four times a day doctors recommended. At a funeral home in a nearby town, Rafael Funes, 48, was making burial arrangements for his 40-year-old wife, Luz Marina Martinez. She went a month without pills for her donated kidney, he said. He recounted how at the hospital, Ms. Martinez also badly needed blood. Mr. Funes rounded up donors but the nurses had no equipment to receive donated blood. She died soon after. “It’s just cruelty,” Mr. Funes said, breaking down in tears. Calabozo is a wasteland of paralyzed construction projects and unused pastures. Jobless, hungry residents have taken to stealing copper wiring and fiber-optic cables to sell as scrap. On a recent day, power was out in the town and the region’s sole dialysis center, powered by a fuel generator, was barely functioning. Hyperinflation means the center’s staff earns a couple of dollars a month, and the center struggles to afford the $100 ultraviolet light tubes used to disinfect the water necessary for dialysis, said Dr. Raquel Parra, the center’s nephrologist. With no access to antibiotics, she said, patients often die from infections. Two months before she died, Ms. Solorzano began traveling to Caracas for treatment, said her husband, Mr. Array. But the bumpy, 200-mile bus rides over crumbling roads became too painful, so she spent the last weeks of her life in Caracas, he said. Mr. Array, an unemployed bricklayer, said he had to take out a loan from friends to afford his wife’s funeral.